Do unto others as you would have them do unto you. That is, don’t put people in prison without a trial or even specific accusations of wrong-doing. “Walking while Muslim” or “Walking while a bearded male in Iraq / Afghanistan” is not a good reason to put someone into solitary confinement for (in many cases) over a decade. What if it was you called a “detainee” but in fact a prisoner accused of no crime and tried by no jury? What if it was you separated from your wife for years, your family, your country? What if it was you whose nation was invaded by a Superpower from the opposite side of the world, who while walking was picked up as “a person of suspicion” and then — without further inquiry by anyone — was taken to an island and imprisoned “indefinitely”? Do unto others? Oh, we’ve “done to others” for sure. But not what we’d ever have chosen to have done to us. Incredibly, of those still being held approximately 60 individuals have actually been cleared for release but the United States has either failed to find a safe haven for them or, in the case of 27 Yemenis, refused to return them to their country of origin. The indefinite and arbitrary nature of the circumstances of their detention has led to a steep decline in the mental health of many incarcerated at Guantánamo. There have been numerous suicide attempts and hunger strikes. In June 2006, after the apparent suicides of three inmates, many detainees were moved to isolated cells in “supermax” facilities known as Camp 5 and Camp 6. There, they lost the ability to eat or exercise communally. They have very limited contact with anyone but their jailers and almost no access to sunlight or fresh air. A fourth detainee died of an apparent suicide in March 2007 and a fifth in June 2009. President Obama’s comments regarding Guantanamo — and his affirmation that it must be closed — are deeply appreciated. But the time for words is long overdue. 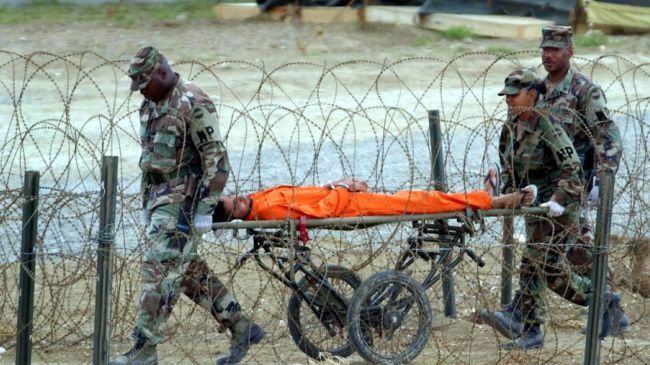 The obvious xenophobia behind Guantanamo’s existence is profoundly unchristian and sub-human. Will Americans put up with a policy morally equivalent to Stalinism? Christians should be at the forefront of demanding action from their congressional representatives. Now, not later. For one way you can reach out to your elected representatives, see Amnesty International‘s action pages.